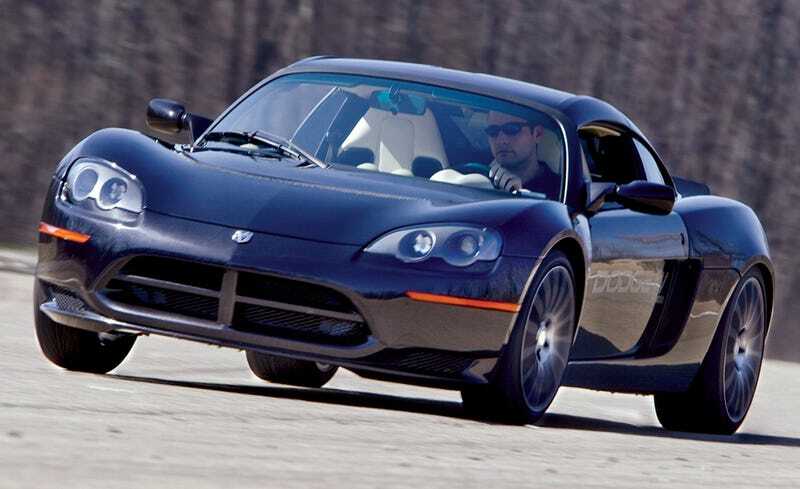 Remember when Dodge built a Tesla Roadster on the Lotus Europa platform, the bigger version of the Elise platform used by Tesla? Had 268 hp and 295 lb-ft to 480 lb-ft of torque from its electric motor, 35 kWh battery, and about 150-200 miles of range in a car that weighed about 2,650 lbs. Was water-cooled rather than air-cooled (take that Tesla!). Used the same all electric powertrain that was going to go into the Town and Counrty, Wrangler, and Patriot (though all of those had a range extender). Go read about it in its Car and Driver Road Test. It will also remind you about Chysler’s ENVI projects, how they planned to sell 100,000 electric vehicles per year back at the start of the 2010s, and how this little electric roadster would have replaced the Viper during that 2010-2013 gap and been priced for under $100,000 (which would undercut the $110,000+ Tesla Roadster.